There are some cracking choices in the compact estate class these days, but the Leon ST happens to be one of the best. Practical, civilised, comfortable and good to drive, it’s a great all-rounder. 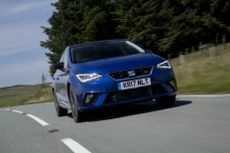 The Leon is cheaper to buy than the Volkswagen Golf it is based on, but it shares almost all of its cousin’s virtues, including a fun-to-drive character and a wide range of potent engines.